When traveling with young kids to Costa Rica it can be hard to decide- should I take a stroller to Costa Rica? This article will help you make the decision by walking you through different trip scenarios to help you decide if you should take a stroller to Costa Rica. Our family travels often to Costa Rica- after I met my husband there in 2001, we have been traveling at least once a year to Costa Rica. That didn’t change when our girls were born- we have taken them since they were three months old. We love to pack light for trips– between taking gifts for our Costa Rican family and the simple fact that our kids have been to small to carry their own luggage, we are always very strategic about what we take on trips to Costa Rica. 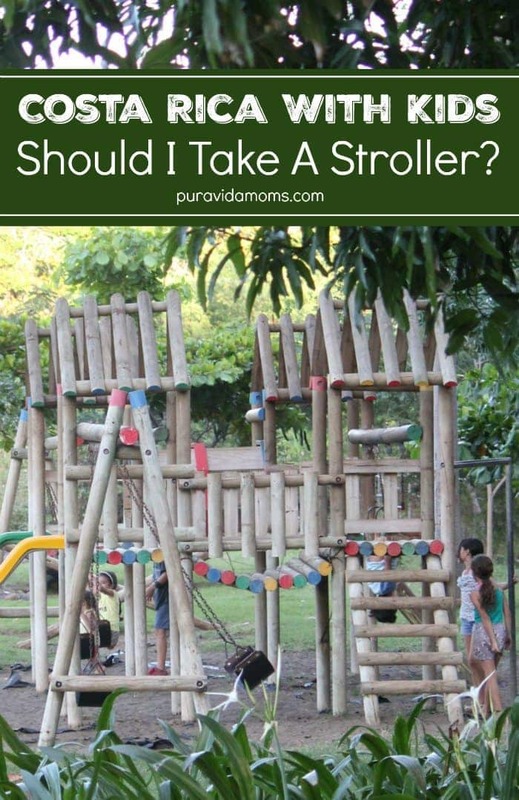 Here are a few considerations when deciding whether or not to take a stroller to Costa Rica. 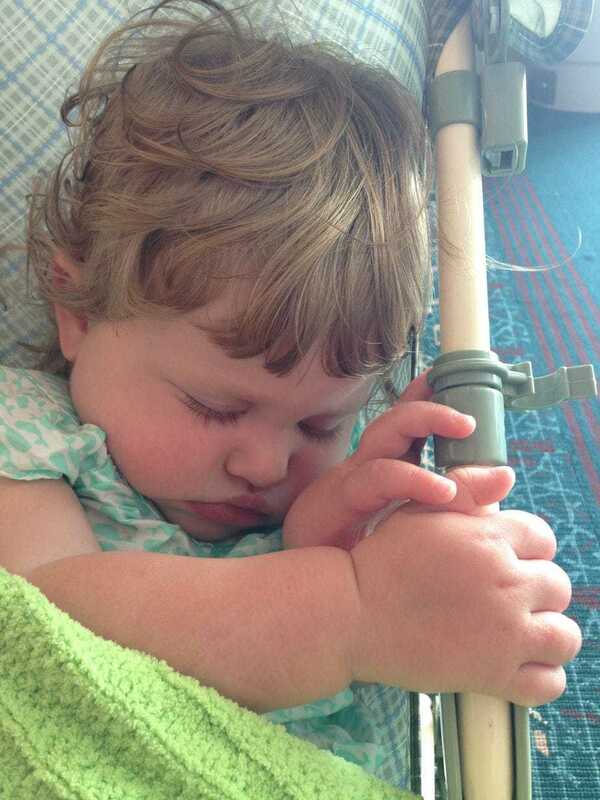 Naptime in the stroller! (Sort of). Consideration #1- Do you plan to walk a lot in the city or town you are visiting? We generally spend a lot of time visiting our family in a mid-sized town where parking is an issue. So we walk almost everywhere, and this means that we take our big Double Bob stroller with us for walking around the city. We also walk a lot when we get to a beach town because we prefer to leave our rental car under the care of our hotel security and walk to dinner or shopping. 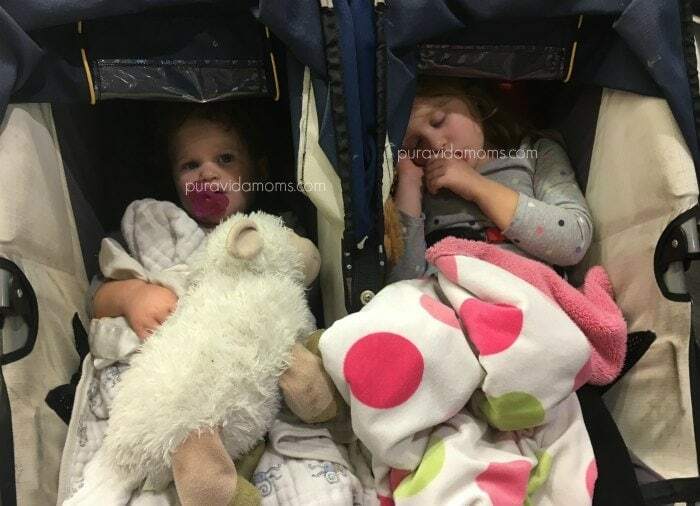 Our girls like to ride in the stroller in Costa Rica because it makes them feel secure to look around at all the new and different things. The final consideration for us is nap time- when we are out and about our girls will generally nap in the stroller while we get in a good walk. There are so many great walkable towns in Costa Rica! Consideration #2- What type of transportation do you plan to use? There are lots of ways to get around Costa Rica, and you might not have space to keep a stroller. If you are taking a bus or taxi, it can be tough to have space for a stroller- even a foldable umbrella stroller. Additionally, if you are renting a small or midsize vehicle, you might not have room for everything. Consideration #3- What type of walking do you plan to do? Strollers aren’t great for beach walking, and the rainforest trails and hiking in Costa Rica are not conducive to strollers at all. I mean- at all. If you are spending the majority of your time at the beach and in the rainforest, I would not take the stroller at all. 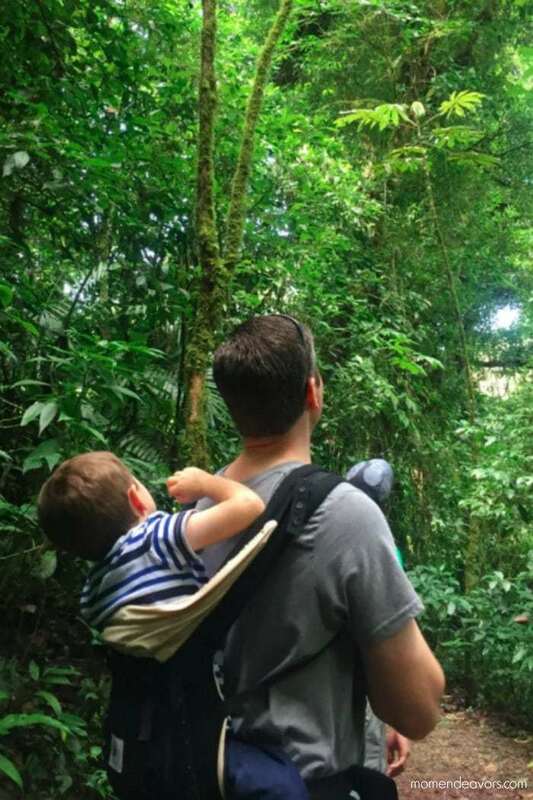 I loved the idea from Mom Endeavors to take an Ergo carrier for an older child– she took one to hike with her almost 4 year old and it worked well on the hanging bridges in La Fortuna and the longer hikes through Monteverde. Consideration #4- How big is your child? With very small children we have found it easiest to just use a baby carrier, rather than take a stroller to Costa Rica. It can get HOT though, and if you or your baby feel uncomfortable in heat, taking a stroller could be good because you aren’t sharing body heat with a baby. I loved the baby carrier for walking in big crowds! Finally- you can purchase an umbrella stroller in many baby stores in almost any town in Costa Rica (with the exception of beach towns) for about $60-$80. If you are using a driver or have a rental car, you can always get a stroller in Liberia or anywhere in the Central Valley, so do keep that in mind. If you aren’t positive you need it, just know you can get one. Umbrella stroller for the win! I have also heard of people successfully using Baby Gear Rental sites from Facebook. Here are two- Baby Equipment Rentals Costa Rica and Tico Friends. I believe they include drop off and pick up of gear from the airport. We have also taken an old umbrella stroller and just left it there with a family in need so we didn’t have to bring it back home or take it around with us one we no longer needed it. So what do you think? 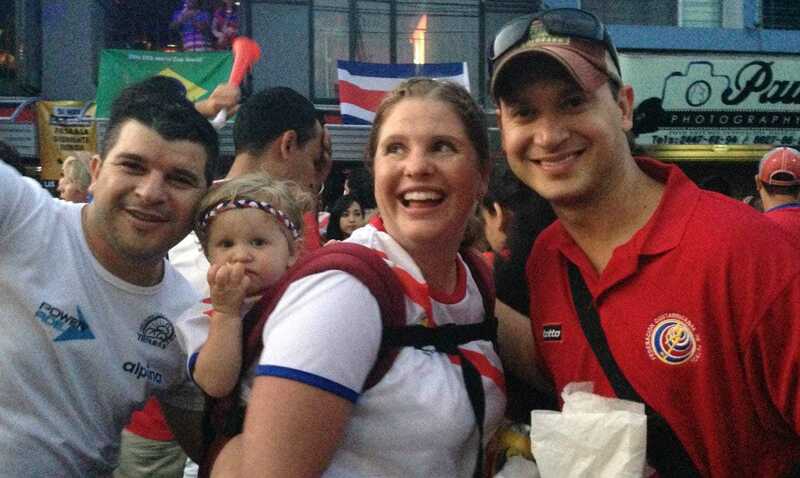 Will you take a stroller to Costa Rica? Let us know in the comments below! Looking for more family travel content from Pura Vida Moms?